Engine: 3.5L V6 280hp 262ft. lbs. (35) Photos Printable Brochure Apply For Credit Schedule A Test Drive Text Us About This Vehicle! 100% GUARANTEED CREDIT APPROVAL. FIRST TIME BUYERS WELCOME. WE ARE THE BANK FAST APPROVAL IN 30 MINUTES OR LESS. REPOS OK, BANKRUPTCY OK, TAX LIENS OK, LATE PAYS OK, FORECLOSURES NO PROBLEM. ALL PRICES SUBJECT TO CHANGE. 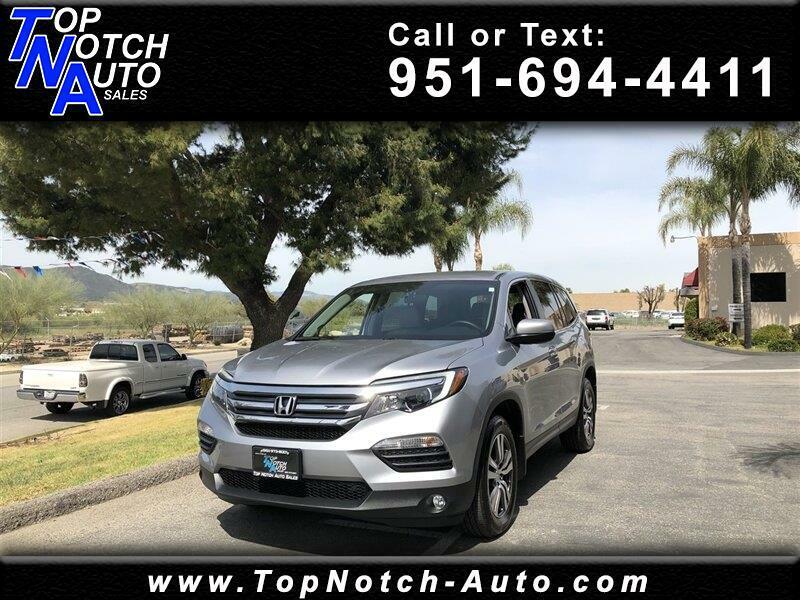 PLEASE CALL US AT (951) 694-4411TO SCHEDULE YOUR TEST DRIVE TODAY. WE ARE A CARFAX ADVANTAGE DEALER. Disclaimer In the event a vehicle is listed at an incorrect price due to typographical, photographic, or technical error Top Notch Auto Locators LLC shall have the right to refuse or cancel any orders placed for vehicle listed at the incorrect price. All prices exclude tax, tag, and fees. Message: Thought you might be interested in this 2018 Honda Pilot.